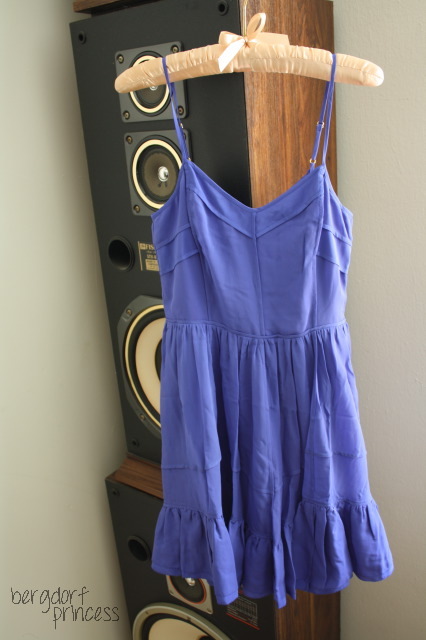 Nothing says spring and summer quite like a flowy, easy dress. 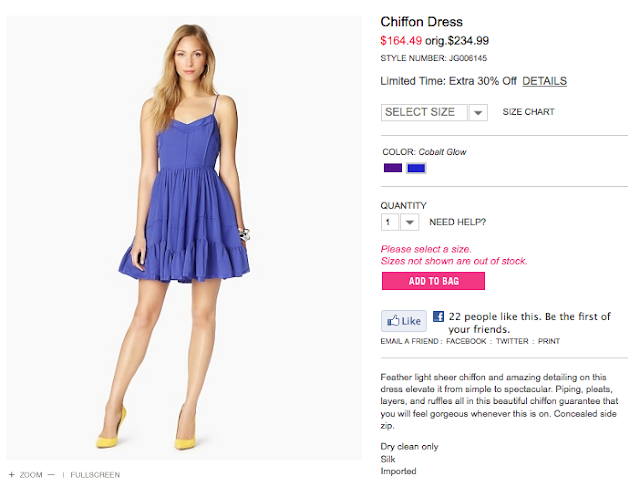 I first saw this dress at the Juicy Couture flagship on Fifth Avenue and I fell in love with it. 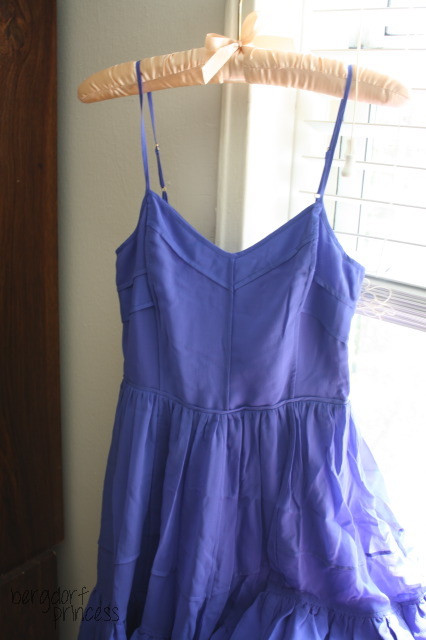 It was available in three colors - purple (available here or here), purple with dots, and a periwinkle blue, which is the color I fell in love with. 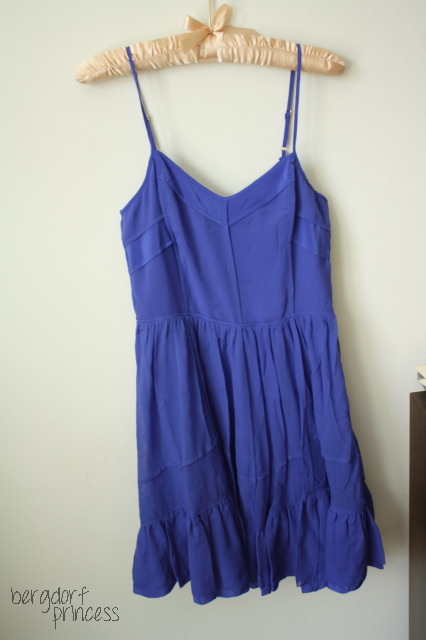 However, the dress was quite pricey - almost $300. So I waited for it to go on sale, and it finally did! 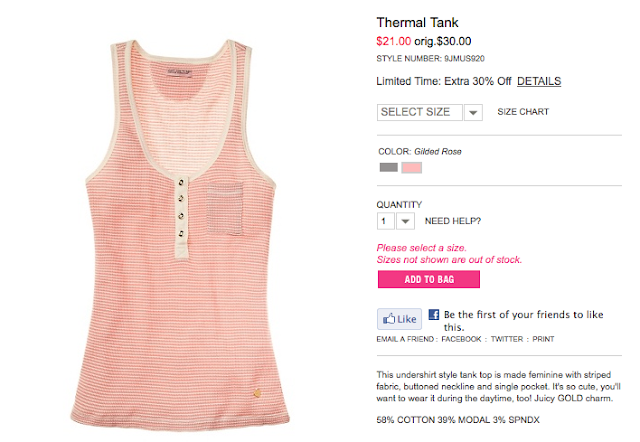 Juicy Couture is having a 30% additional percent off sale right now, so I suggest you check it out! :) I wound up purchasing three things. The first thing I got was a pair of shorts to sleep in. Juicy Couture makes really cute sleep clothes. 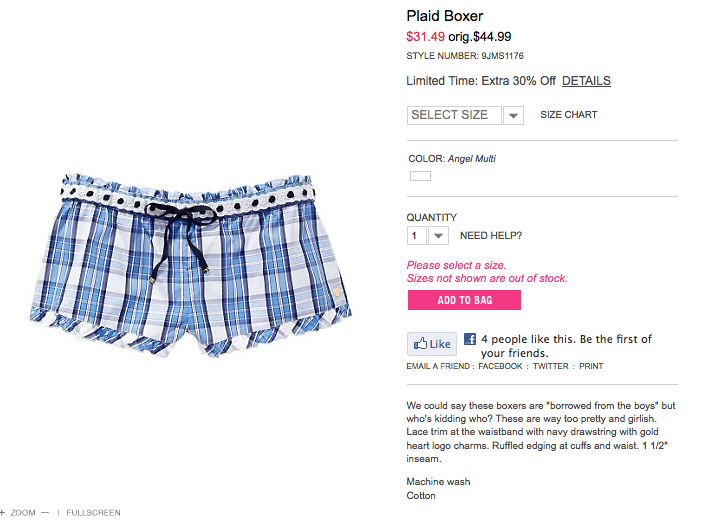 You can buy these shorts from ShopBop or directly from Juicy. For some reason, they gave me hangers with the pajama stuff I bought, which was nice! 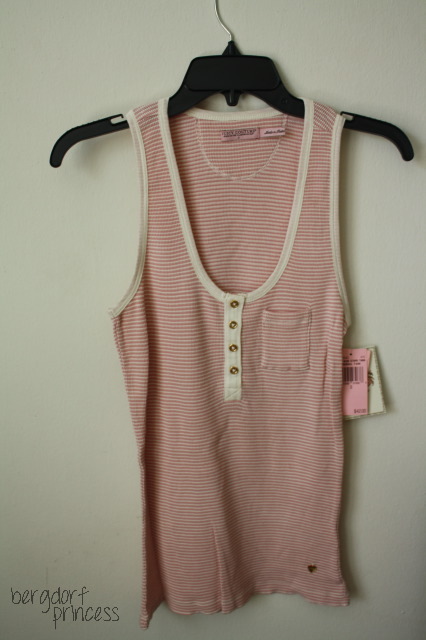 The next pajama item I bought was this thermal tank to sleep in and wear around the house. Great purchases and you always seem to get the best deals! Great buys! Juicy's stuff is always so comfortable!